The MBA released a statement this week in response to the introduction of the SAFE Transitional License Act in the Senate. 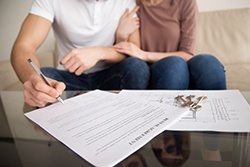 This bill would allow registered loan originators to be granted temporary authority for 120 days to originate mortgage loans when transitioning between federally insured institutions, as well as between states. In order for the loan originator to qualify for the temporary authority when moving from a depository institution to a non-depository institution, they must have been registered in the Nationwide Mortgage Licensing System and Registry (NMLSR) for the 12-month period preceding the date of the request. Moving between states for the same institution, the loan originator must have been licensed for 30-days preceding the submission date. The President and CEO of the Mortgage Bankers Assoication (MBA), David H. Stevens, CMB, responded with support for the updates. "This legislation will maintain the important consumer protections established under the federal SAFE Act, while offering enhanced workforce mobility for mortgage loan officers who choose to change employers or move across state lines to pursue new career opportunities," he said.